French-Argentine artist and designer Pablo Reinoso has been designing and fabricating sculptural benches since he was just 15. Throughout his nearly five decades as an artist he has explored several iterations of both seating and sculptural forms, including his two most recent series Spaghetti and Garabatos. Each work is a bench at its very core, but its structure has been elongated and twisted into an object that expresses a little bit of anarchy and a lot of play. 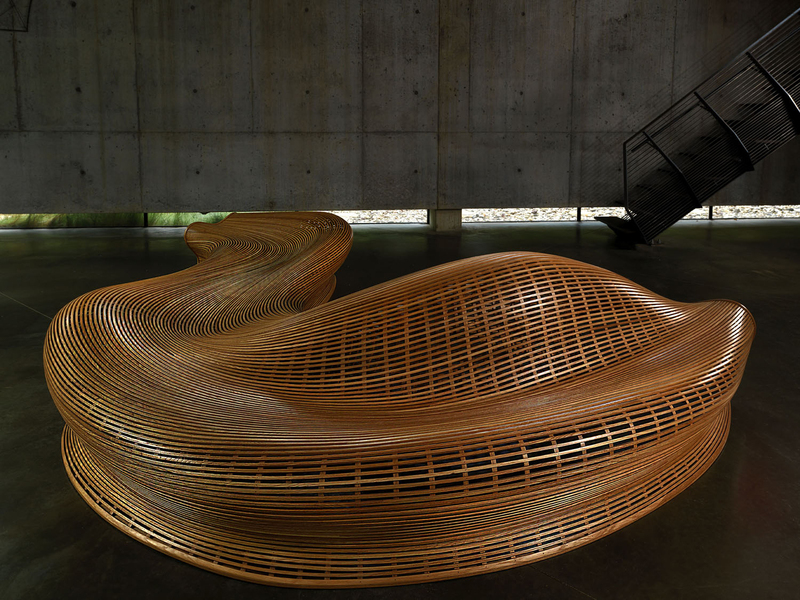 Although Reinoso has always explored the structure of the bench, he has often diverged into other disciplines as a part of his wide-sweeping practice. He has explored sculpture, photography, architecture, and design, each with a bit of humor and a desire to test limits in understanding and form. His installation “The Circle,” from his series Garabatos, is currently installed in Paris’s Tuileries Garden through November 7, 2018. You can few a larger selection from this series on his website and Instagram. Texas-born sculptor Hugh Hayden (previously) combines different varieties of wood to create furniture and other domestic objects with protruding spikes and branches. For his latest exhibition Border States at Lisson Gallery in New York City, Hayden addresses notions of citizenship and boundaries with sculptures made using wood indigenous to the United States and Mexico border. The traditional family ideals of the American Dream are evoked in objects such as a dining room table, picket fence, and child’s stroller, yet their source material speaks to the contentious practices upheld at our nation’s border. Eastern Red Cedar, a wood from Texas with a pinkish interior, composes The Jones Part 3, a fence covered in branches which reach out at the audience from its vertical slats. “Texas Ebony,” a dark wood that grows at the border, composes another sculpture, while the weed-like Mesquite forms a kitchen table and chairs titled America. Hayden currently lives and works in New York City. Border States runs at Lisson Gallery through October 27, 2018. You can see more of his politically-minded sculptures on his website and Instagram. Installation view of Hugh Hayden: Border States at Lisson Gallery, New York (15 September – 27 October 2018). © Hugh Hayden; Courtesy Lisson Gallery. 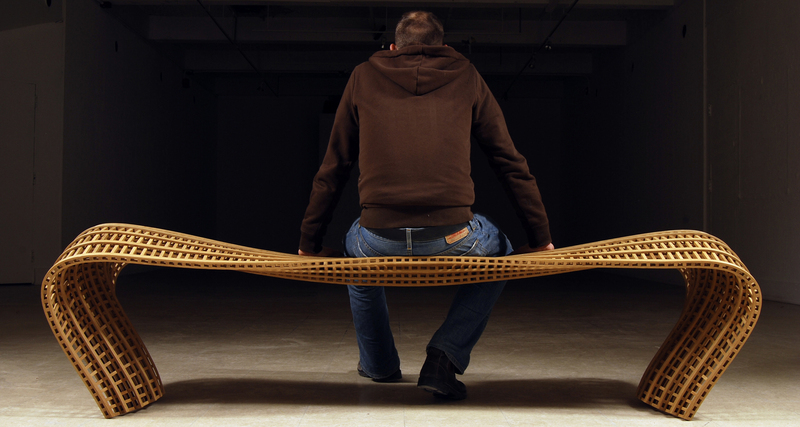 Brooklyn-based furniture designer and sculptor Matthias Pliessnig creates sumptuous, twisting benches by steam-bending hardwood. He first developed the process in 2006 while studying wooden boat building techniques at the University of Wisconsin-Madison when he realized that by flipping his boat-inspired creations over, he could use the hollow form as a sturdy bench. 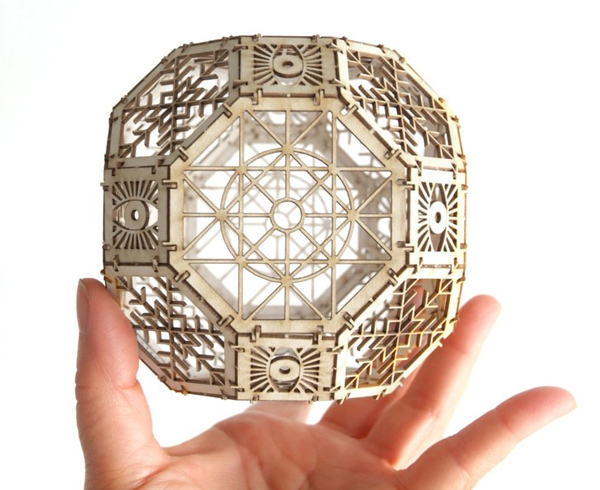 Once he has designed his works using Rhinoceros 3-D software, Pliessnig places a strips of wood into a tube filled with hot steam. After ten minutes the wood is malleable enough to bend into his desired shape, but only for about 30 seconds. In eight hours, the wood is fully hardened, and back to its original strength. 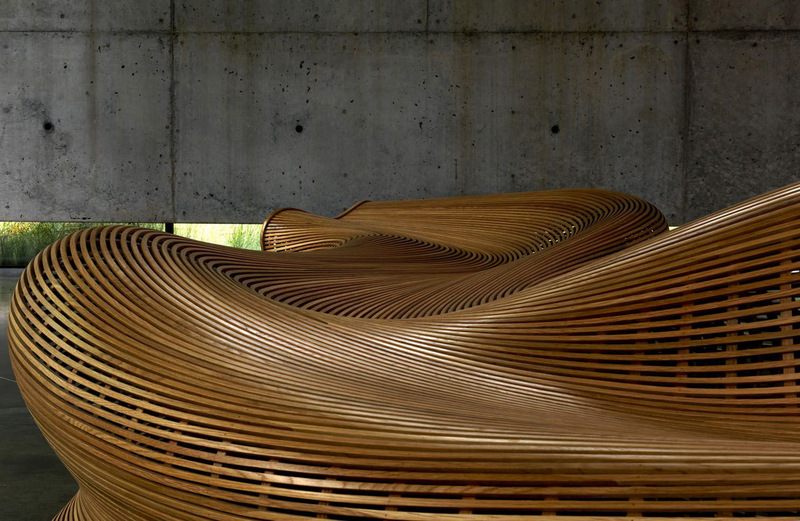 You can see more of the designer’s undulating furniture on his Instagram. Israeli designer Sharon Sides translates natural forms into designed objects by digitally transferring their patterns onto metal. In her series of bronze and acid-etched brass furniture titled Stumps, she utilizes the concentric rings of tree stumps to create richly textured surfaces. As a way to more deeply connect each piece to the object it is inspired by, Sides also keeps the edges of her tables and chairs as close to the stump shapes as possible, and molds the furniture’s legs to appear like twigs or branches. You can watch the design process behind Sides’s series of tree-inspired objects in the video below.